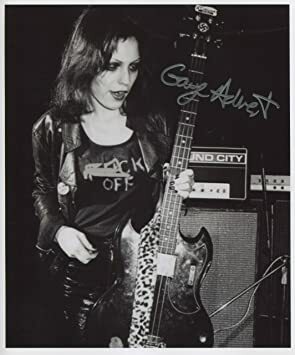 This strange but iconic punk song is memorable for its weird concept, but particularly for the eerie ascending bass played by straight-down-the-line punkgirl, Gaye Advert. She plays the bass guitar. She is a musician. Get over it. which, strangely for a musical movement based on amateur-style playing, many a punkgirl has had to deal with. In 1977, songs like the Pistols’ ‘God Save the Queen’ were banned for being offensive, but it was perfectly all right to broadcast a song about a recently-executed murderer, and the unfolding realisation that the singer of the song has acquired the famous murderer’s eyes. 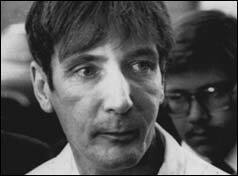 The real Gary Gilmore chose death by firing squad in the US, and within hours, his corneas had been transplanted into an unsuspecting recipient. That’s the principle behind the song written by Adverts main main TV (Tim) Smith. The song is a thrill from start to finish, and in this performance on Top of The Pops in 1977, Gaye Black plays inconspicuously whilst being so so cool. And he donates his sight to science. I’m locked into a private ward. Looking through Gary Gilmore’s eyes. Push my bed against the door. And wish to see no more. And sends them to the brain. When looking through Gary Gilmore’s eyes. Gary don’t need his eyes to see. Gary and his eyes have parted company. Weird but delicious. Thank you Gaye Black and Tim Smith; we look back with great fondness on this body-part punk anthem!